The German Federal Administrative court surprised many when it deemed last week that a ban on online casino games would still remain in place. The court ruled that the existing ban did not violate EU treaties or the German constitution. It is quite strange that the court made this ruling as the EU has been placing pressure on many member states to alter their gambling laws and regulations in order to make the EU a more free market. Germany has always been seen as the de-facto head of the EU. This court case started when unnamed, licensed operators from Malta and Gibraltar sued the government due to the law banning online casino services. They were also unable to offer sports betting services to their members. Currently online sports betting is technically legal but operators are still waiting to receive their licences. 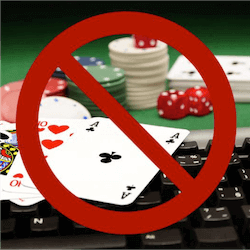 The court stated that the main reason for the existing ban on online casino games is the fact that it prevents children or vulnerable persons from unrestricted online access to gambling. The current regulatory laws were first introduced in 2012 but due to the German state’s inability to agree on proper laws, the framework has existed in a rather fuzzy form that has left most states in the dark. New regulations were added in the new treaty introduced in the spring but these measures have not yet been enshrined in government due to the inability of the states to settle on fixed regulations for the potentially lucrative German online gaming industry. In further EU developments, the Belgium Constitutional Court made a ruling that the country’s gaming regulator should not have used gambling licences to operators that offer more than one service, for example slots and sports betting, on the same website. The court feels that a single URL should be issued for a single service. This means that for each individual betting service an operator offers, it should have a separate website. Operators would also need separate licences for each of their services. Since only Belgium has this regulation in place in the EU, it is a very cumbersome and potentially stifling ruling.